During the week of April 20th, 2009, I served as the Strategic Team Leader for PR Open Mic. My class was responsible for creating all of the content that would appear on the social networking site and it was my responsibility to create and execute a plan for the week as well as track the progress of my classmates to ensure that everything ran smoothly. The week proved to be a success; during the week we were in control, traffic rose 75% on the site. For more information about my role during this endeavor, read my blog post regarding the week. I am serving as the Unit Armorer for Alpha Company, 2nd Brigade Special Troops Battalion, 82nd Airborne Division. Everyday, I learn lessons in tactical environments while gaining a greater understanding for discipline and responsibility. I am responsible for the maintenance and accountability for our company's weapons and high-value items. As a Specialist, I am counted on by Officers and Non-Commissioned Officers to uphold and maintain division standards and set the example for younger soldiers. Sales have helped me refine my people skills through being a better listener and learning how to deal with difficult people. It is very goal oriented which fits well with my personality. I set high benchmarks and do everything in my power to achieve them. Every week the district posts a Top Ten list for associates in the district for various categories. I am consistently on multiple lists and have received many congratulatory remarks from the store manager as well as store managers from other locations. I am also a keyholder for the store meaning that I am responsible for opening and/or closing the store and doing the cash deposit on nights that I close. As a staff writer I have produced a number of stories including two that have appeared on the front page. Other articles I have written include a profile of a local band, reviews of live events and news stories covering the goings-on of our campus. As the Social Media Consultant, I am part of a small group that coordinates the Twitter feeds and the information that is released and sent on a daily basis. Because this is a new medium, we are still learning how to be most successful, but are committed to the project. Coaching is one of my great passions. I love the game of football and I love to teach it. Learning fundamentals is key in every career, but being able to teach a skill or craft is important not only now, but in the future when it is my turn to teach my skills to other people. I believe in hard work and determination and try to inspire those values in all of my teams. 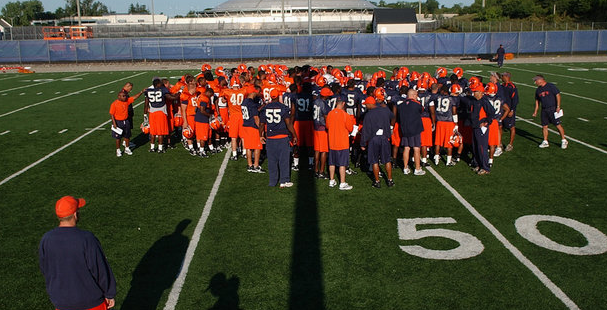 In 2008, I helped coach the team to a 5-3 record. A chain is only as strong as its weakest link. As an equipment manager, I learned that it takes the effort of every cog in a machine for it to run smoothly. 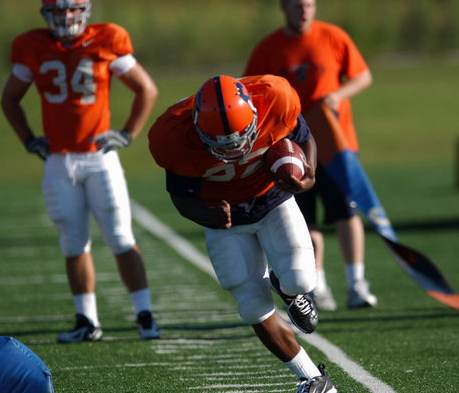 I was responsible for facilitating all of the running back drills and most team drills. On game day I would assist on the sidelines doing a variety of tasks. In the off-season I assisted Coach Randy Trivers with clerical work and was allowed to serve as a coach during two high school camps. I worked with the owner of Gamerosters to help promote product using message boards. Also prepared a full media kit that was sent to publications for exposure. I worked in the Employee Wellness Program and coordinated the special projects for the summer. This included planning and executing health walks. Educating employees about healthy diet and exercise habits and most importantly I planned and managed team Onondaga County in the 2007 Chase Corporate Challenge. The most useful thing that I took away from my experience here was learning that I had no desire to work in a non-profit organization. I feel that promotion is a give and take, and in non-profits, there is often very little to give. I was in my fourth year and very happy with my decision to transfer to Oklahoma State before leaving to serve in the Military. I have met some excellent faculty who have been quintessential to my success so far in the classroom. I remain especially interested in Social Media after being introduced to the field by Bill Handy, OSU professor. What began with blogging and Twitter has become a passion that I will pursue in my professional life. After three years in the S.I. Newhouse School of Public Communications at Syracuse University, I decided to transfer to Oklahoma State due to personal reasons. I have never had problems with the initial brainstorming process. I have issues keeping a focused piece and using correct grammar. I am currently writing for the Daily O'Collegian so I can practice and get better. Excel has always given me problems, I can create spreadsheets and simple graphs, but I have trouble with the advanced techniques. I have extensive experience in using various Social Media sites. More Importantly, I understand how to execute strategic campaigns while using Social Media including the incorporation of Twitter, Ning (social networking), Wetpaint (wiki) and the importance of evaluating techniques. Examples of my work are under the "Works on Display" section. For the privacy of my references, I have not listed many of the people that would be able to serve as a reference. Please contact me if you require more. Currently, I am serving as a Combat Engineer in the 82nd Airborne Division on Fort Bragg, NC. My objective is to join a successful strategic communications team that will allow me to contribute my skills in Adobe Creative Suite and Social Media while being provided opportunities to incorporate my love for sports and willingness to lead. I want to work with professionals who are not afraid to seek answers in all places and who have a passion for sharing their talents with the professionals of tomorrow. I have studied public relations at both the Newhouse School of Public Communications at Syracuse University and the School of Media and Strategic Communications at Oklahoma State University between 2005 and 2009. Before completing my degree, I enlisted in the United States Army. I have plans to complete my degree during my enlistment. I have a great interest in social media and was inspired by Social Media Professor Bill Handy to further participate in this evolving field. I joined the Daily O'Collegian staff in the Spring of 2009 as a staff writer. As I am also an avid Tweeter, I was designated as the O'Colly's Twitter account consultant. I consistently update my Twitter account while engaging in conversations with people from all walks of life. I enjoy blogging, but find it is difficult to fit into my daily schedule. Combining my two passions of sports and teaching, I coach football. During the 2008 season, I coached Running Backs, Defensive Backs and Special Teams at Stillwater Junior High. 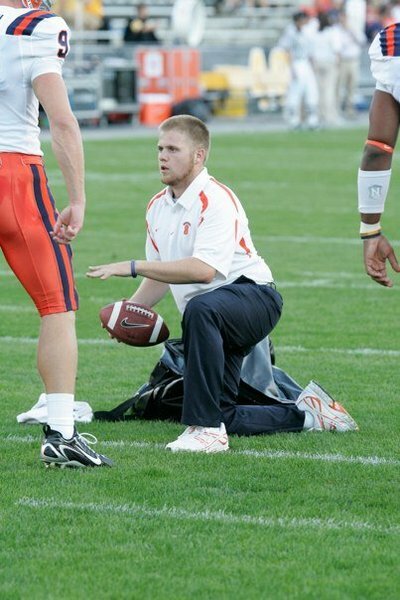 Before coaching, I was an equipment manager for Syracuse University Football for three years. I worked for Randy Trivers, the current Running Backs coach for Rutgers University. I love to interact with people and have no problem doing so. I am employed by Radio Shack and have found my background in PR extremely helpful in assessing needs and matching customers with the correct technology. 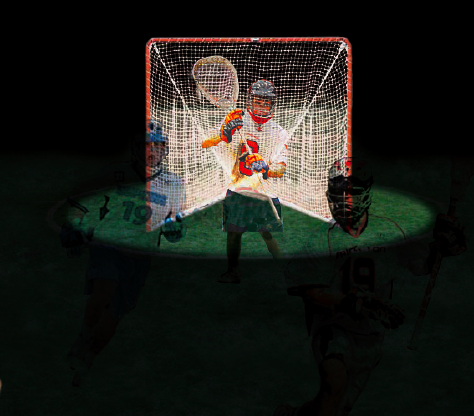 My hobbies include: graphic design via InDesign; playing lacrosse for the Oklahoma State Club Team; and playing Wii.